You’ve just recompiled a 3rd party library in Visual Studio, copied the .lib file into a proper directory, added dependencies into your final project… recompiled and it worked nicely! Good. So now you can commit the changes into the main repository. Possible reason: missing PDB information. We have also two ways of building a program database: generate a single database for the whole project, or store debug information inside each compilation unit. By default Visual Studio uses the first approach (new format version) and the second is called “C7 Compatible Format” (old format). Missing PDB warnings are not that serious, but it’s very frustrating to have them when building projects. A warning will be generated for each referenced compilation unit from that problematic library. Not nice, we want to have build output as clean as possible. In the example above, I've recompiled Freeglut.lib. I copied lib files into my target folder and referenced it from my main project. When I tried to compile the project I got those warnings. So every time you build your library, copy .lib file and .pdb into your destination folder. 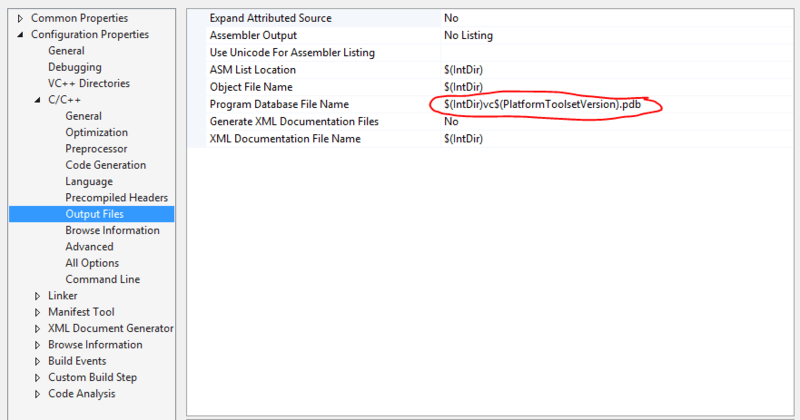 Hint: on your local machine Visual Studio will remember where your pdb files are located. So even if you copy just lib files it will not report any warnings. You can delete all build files from this library (clean) and now you should see the warnings. 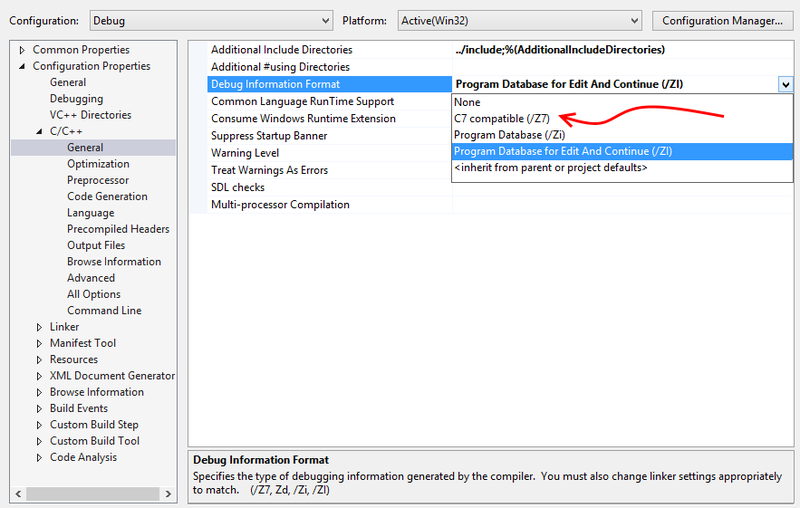 Use a compiler option that will embed debug information inside linked library. That way you just have to copy .lib files and skip .pdb files. How to set this compiler option? (None) Just leave the field empty: no program debug information will be generated. /Z7 - this will produce .obj files with debug info stored inside them. /Zi - generates program database in a separate file. /ZI - same as /Zi, but it is used for “Edit & Continue” option. Note that Z7 generates old format for debug information. And since this info is stored inside each compilation unit, the total size might be bigger than unified and single pdb file. In this short article I've shown what you can do about Visual Studio warnings related to PDB files for 3rd party libraries. One option is to stick with the default VS approach - but remember about copying additional .pdb file. The other option is to use /Z7 compiler switch that embeds debug information inside each compilation unit - that way there are no additional files - just one .lib file. From my experience, I usually set /Z7 for small third party libraries that I need to rebuild and attach to my main project. I did not have any problems so far with /Z7 option. And I can just remember about copying one .lib file and do not care about additional things. What is your experience with debug information for cpp libraries? How do you solve problems with missing pdb files? 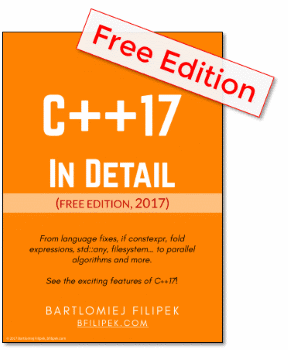 Stackoverflow: What are the implications of using /Zi vs /Z7 for Visual Studio C++ projects?